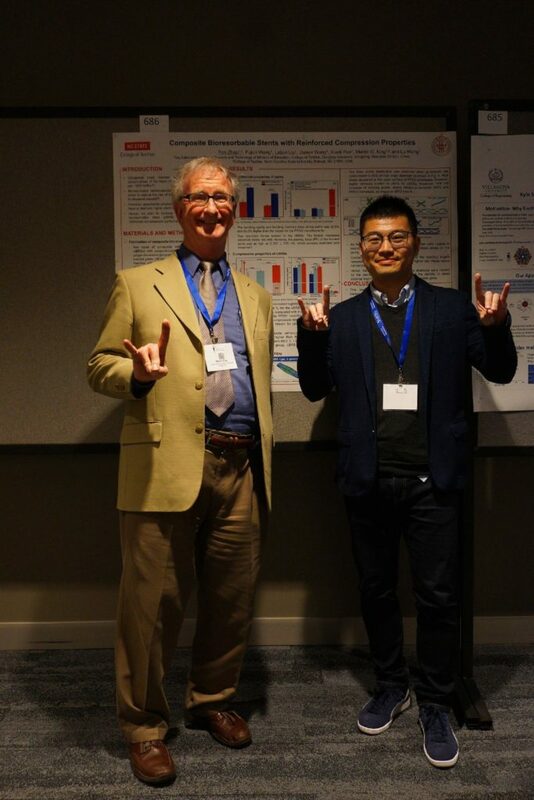 At the Society For Biomaterials Annual Meeting on April 11-14, Fan Zhao was selected for the ‘Second Place Poster Award’ from the Cardiovascular Biomaterials Special Interest Group of the Society for Biomaterials! His presentation was about the fabrication and evaluation of novel bioresorbable cardiovascular stent with poly(p-dioxanone) and polycaprolactone, as well as braiding technique for reinforcing mechanical properties and behavior. Fan also used finite element analysis to analyze the deformation mechanisms. Congratulations Fan! We are very proud of you!